I am a contact-lens wearer, so I need mascara that won’t flake or smudge. I also want something that will come off easily and wear well. Just like most women, I’m equally obsessed with having more length and volume. 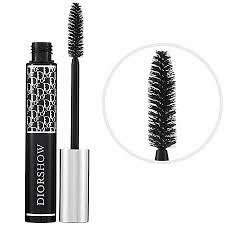 Hands-down, the mascaras that deliver every time are CoverGirl’s LashBlast and Christian Dior’s DiorShow. Gives length and volume with its patented volume-boosting formula and patent-pending brush, Smudge and smear-proof, Hypoallergenic,Suitable for contact-lens wearers, Also available in a waterproof formula. Price: $8.99 Available at Ulta, CVS, Walgreens, Target, Jewel-Osco. Gives length and volume with its patented volume-boosting formula and patent-pending brush, Smudge and smear-proof, Hypoallergenic, Suitable for contact-lens wearers, Also available in a waterproof formula. Price: $8.99 Available at Ulta, CVS, Walgreens, Target, Jewel-Osco.